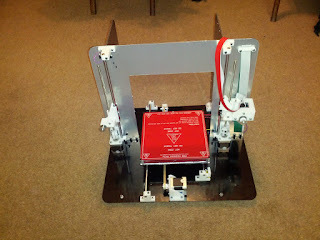 Managed to finish my Mendel90 kit Y axis today. I like the way the cables are routed under the dibond base. A small detail, but it keeps the build neat. Do it! You will not be disappointed and it is much easier to build as there are no threaded rods to mess around with!